When Dr. Bob was just 24 years old, he suffered a neck injury after being in a motorcycle accident. Though medical doctors recommended surgery to repair the damage, a friend suggested he try chiropractic. After receiving care, he was amazed at how much better he felt, and how his body had healed and regenerated itself without medical intervention. He didn’t know it at the time, but this experience with chiropractic care would later inspire him to pursue the same work. Dr. Bob’s mission in life has been to help as many people as he can, and that began with a 21-year career in the United States Air Force and Navy. During his time serving our country, Dr. Bob spent the majority of his efforts in the medical field—from acting as a hospital corpsman to saving lives as an air medic during evacuations. When his service ended, Dr. Bob knew he wanted to continue to help people regain their health, and chiropractic care became the perfect fit to do so without the need for drugs or surgery. He attended Logan College of Chiropractic in St. Louis where he achieved his doctorate degree. Ever since, he has been helping Spring Hill families unlock their true health potential, naturally. Dr. Bob understands that the needs of each individual patient are unique. 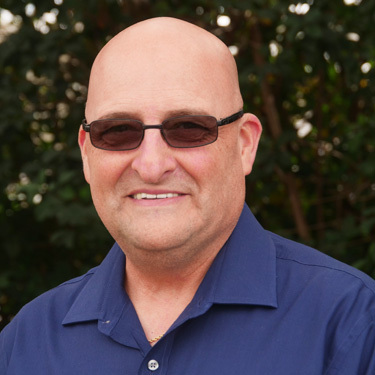 With that understanding and his love of learning, he’s proud to offer additional services at Health and Wellness of Central Florida, including massage and functional medicine for a well-rounded approach to wellness. Dr. Bob also holds a Board Certification in Addiction and Compulsive Disorders. When Dr. Bob isn’t helping patients at either Health and Wellness of Central Florida location, he enjoys gardening, watching football, fishing and spending time with his wife. He likes trying new area restaurants and is an avid “bike” fan, having a motorcycle of his own. Dr. Bob and an associate also started a local nonprofit called “Saving 2 Lives,” which focuses on helping addicted, pregnant mothers get the care and assistance they need to better themselves and ensure a safe and healthy baby. If you’d like to learn more about Dr. Bob and how he can help you, contact our practice today.